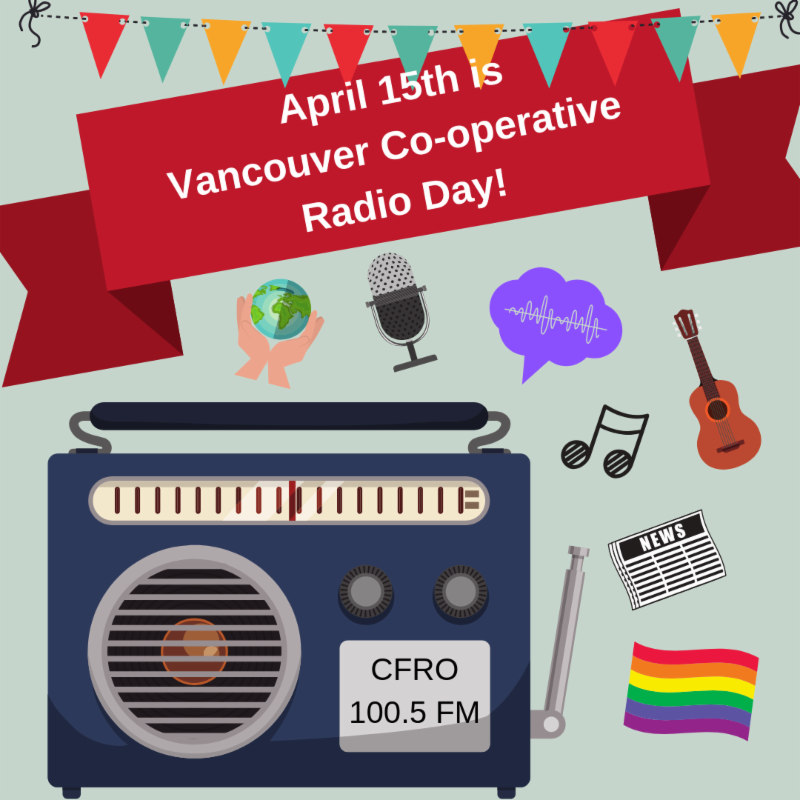 Join us on Monday April 15th, 2019 for Vancouver Co-operative Radio Day by stopping by the studio at 370 Columbia Street between 10am and 7pm, where we will be hosting an open house. Come by and check out a show being recorded, take a peek at our studios (did you know that as members, you can book the studios for free? ), meet our new Fundraising Coordinator and mingle with our friendly staff and volunteers. Let us know you are coming by sending your RSVP to community@coopradio.org.